When I was 21 my friend's parents invited me to go to Disney World with him. It was sort of a joke, since he'd been able to take other friend with him when he was younger and technically it was sort of my turn. But I was 21, fresh out of college, and had some vacation to burn. Why not say yes? I ended up having a great time, aided by the fact that I could legally drink. AT DISNEY WORLD. 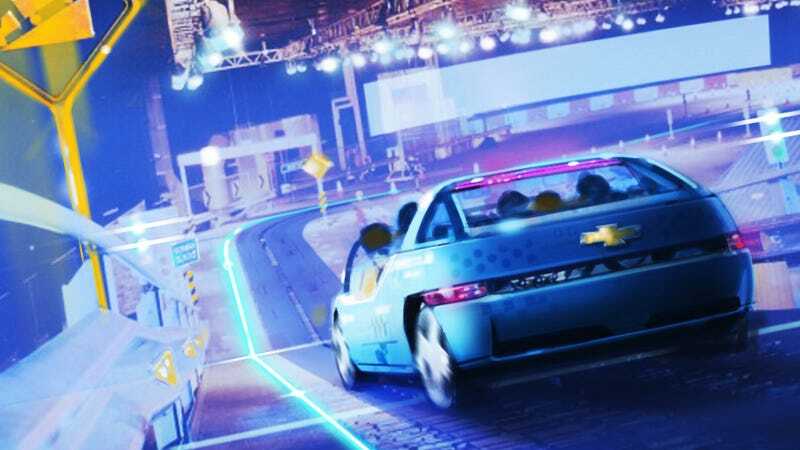 One of my favorite rides was the GM Test Track, which put you through the testing of a "new GM." It was a little goofy, of course, in the hopeful way all things imagined in the '90s are kind of goofy (you can see video of it here). What made it better is the whole thing is narrated by actor John Michael Higgens from Arrested Development, who is now probably too famous to do cameos in DIsney World rides. Maybe. So they'll have a screen in front of them? They'll carry an iPad? Whatever they end up doing, I hope they keep the corny voiceovers. It is Disney World, after all.